The Ayahuasca Vine covers all the Rythmia related ayahuasca press from around the net. Some great reading from various influencers. It wasn’t an easy decision. It’s a decision we wrestled with repeatedly (and still do). We are not shamen, gurus or healers. We don’t teach yoga and aren’t particularly disciplined meditators. We are startup guys and entrepreneurs. We have spent our post-college lives walking fast, talking fast and living in big cities. We spent most of our careers helping big businesses sell unhealthy and unneeded products. 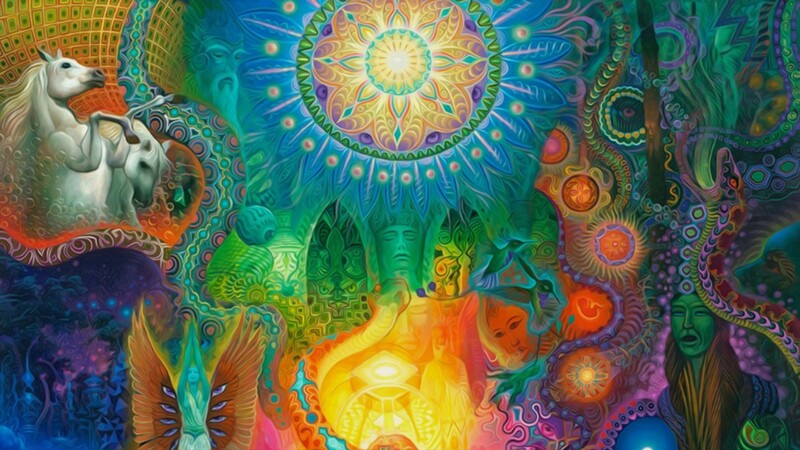 It’s been six months since doing Ayahuasca at Rythmia Costa Rica and my world has been rocked! What brought me originally to Rythmia was to cough-up a big nasty hairball of a dark and painful past. I came close to death on several occasions in my life, mainly due to alcohol and drug induced behaviour that lead to several Nascar-worthy car crashes, some epically stupid ideas, and many mindless stunts that somehow, I managed to survive. One weird near-death experience was from being bitten on a remote Thai island by one of the most poisonous snakes on the planet. To get me off the island to a hospital on a Sunday at 5:30 am in 90 to 120 minutes before my brain exploded (side effect), was nothing less than a James Bond chase scene. If anyone is curious, I made it. Another epic near-death experience where I ended up in the emergency ward was from doing too much cocaine, which collapsed my lung and sent my heart in a spasm. That one I’m not too proud of. Costa Rica falls into a blue zone. A blue zone is a concept used to identify a geographic area where people live measurably longer lives. This is a unique place for an even more unique wellness retreat. What sets Rythmia Life Advancement center apart is it is the only licensed plant based medicine retreat. Rather than trekking into the Peruvian jungles to expand your consciousness with plant-based medicine such as ayahuasca and San Pedro, Rythmia offers a more luxurious option. It’s fully customizable curriculum has been developed by a team of leaders from the mental, spiritual, and physical health fields. Rythmia Life Advancement Center is an all-inclusive luxurious resort located in Guancaste, Costa Rica. The intention of the space is to provide the opportunity to heal, transform consciousness, and evolve mental, spiritual and emotional wellness through alternative therapies in a medically supervised, safe, and accomodating environment. What makes Rythmia so unique, is not just the fact that it is the first medically licensed plant medicine facility of its kind, but also the fact that this space was made manifest from a miracle, and has been able to provide miracles for almost 90% of all of its guests. Is This the Ultimate Spiritual Vacation? While this may sound like the beginning of some lewd joke, it’s actually the beginning of my recent vacation in Costa Rica. The bar was an organic juice bar. The surf star was Kelly Slater, eleven-time world surfing champion. The CEO was the head of one of the largest companies in Canada. And the mom was me, on a much-needed break from my busy life. Since Rythmia Life Advancement Center opened its doors in 2015, 96% of their guests report experiencing a life-changing miracle by the end of their stay. And six months later, these people report their miracle is lasting. That sounds like good odds, right? Maybe a little bit too good to be true?